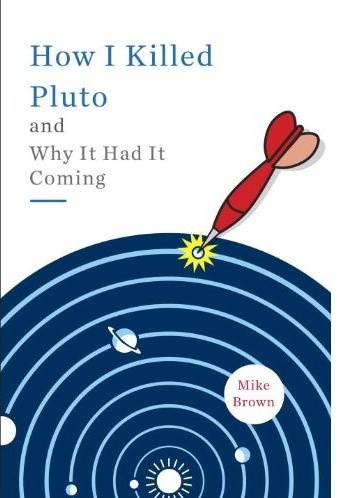 I think any talk of "nails in the coffin of Pluto as a planet" is highly premature, as can be seen from the continuing controversy over this issue. Instead, many see you as having discovered a whole new subclass of planets alongside Pluto. I'm sorry to hear you won't be involved in future planet hunting, as I can't wait for the discovery of a Mars-sized object in the Kuiper Belt that will likely force the IAU to realize the absurdity of its planet definition, in which the same sized object is a planet in one area and not a planet in another. Meanwhile, don't count Pluto out just yet. Well, "planet killer", congrats for a most deserved rest. You and your team have certainly made astronomical history - have no doubts. Poor Pluto. If the second generation camera did not detect a Trans-Neptunian Mars, that means that such an object must be on a highly inclined or eccentric orbit like Sedna. A highly eccentric orbit would mean that the object is currently too far away and too faint to be detected. Sedna varies from an apparent magnitude of 20.4 (perihelion) to about 35 (aphelion) depending on where it is on its orbit. It does not look like a Super Pluto is going to come save Pluto's status any time soon. Mike how far from the ecliptic did your 2nd generation search extend? Pluto's status does not need to be "saved." Finding a Mars-sized object in the Kuiper Belt would hasten awareness of how ridiculous the current IAU planet definition is, but it is not necessary for that definition to be overturned or at least amended to include dwarf planets as planets. So sorry, Mike, posterity may see you not as a "planet killer" but as a "planet discoverer" several times over. the problem of a dwarf planet father out is not the brightness, but its slow movement. So there is a high chance that the missing dwarf planets are already photographed plenty of times but regarded to be distant faint stars. Mike's method can detect dwarf planets until about 120 AU (see http://www.gps.caltech.edu/~mbrown/papers/ps/xena.pdf, section 2 discovery); maybe the last survey of Mike reached out farther. Any of you who may live in the Los Angeles area might have noticed the quite strange weather the last two night. Rain. Thunder. Lightning. The telescopes on Palomar have all been closed. Me? I went out for a walk with my daughter in the warm rain falling at sunrise and told her how wonderful it was when water falls from the sky. And I didn't think about planets at all. Our 2nd survey went approximately +/- 20 degrees from the ecliptic and was sensitive out to 1000 (!) AU (but only to really absurdly large things at that distance. We could have seen Mars to ~200 AU). In the solar system we have asteroids that act like planets (Pluto, Eris, etc. ), asteroids that act like centaurs ((44594) 1999 OX3), centaurs that act like comets (2060 Chiron), and comets that act like asteroids (14827 Hypnos and main-belt comets). Natural objects do not strive to fit our discrete, comfortable classifications. Congradulations on the historic completion of your initial survey. What I am wondering is what effect this will have on your blog, here. We now have some very solid science to work with. Is it OK to speculate on your blog? I would think that this is actually the time for such things. "Planethood" status has been argued until we're all blue in the face, so maybe it's time to expand and start asking questions about what we know and what we migh look for now that there will probably not be any major surprises. This brings up catagories (!). There is "theory", which has largely been proven, but some people's "theories" are other people's speculations. I started my tour of astronomical exploration because I thought large objects formed at Lagrange points throughout the Solar syatem and when I started this was, of course, speculation, not even a hypothesis. But as information became available I have come to think of this as more mainstream; Dr. Edward Belbruno of Princeton and several others accept this now at least in the case of Earth's moon. Similarly with a lost moon of Triton; Drs. Craig Agnor and Douglas Hamilton have advanced this idea. As far as I'm concerned, these two points are now "theories" although I realize the general public might not think so. Then there are "hypotheses". My hypothesis is that Haumea is the lost moon of Triton. Completion of your initial survey tends to eliminate unknown competitors from showing up, so this moves closer to being a "theory". I'm pretty much convinced but more work needs to be done on this. I have gotten as far as passing Calculus III, but would need additional courses in differential equations and vector calculus, plus probably a few other courses in advanced mathematics to more fully understand my own theories. Meanwhile, other instruments besides telescopes have become available to amateur astronomers. I use a program called "GravitySimulator" to explore my own little niche in astronomy. There are other programs, for instance I test-drove Douglas Hamilton's "Integrator" and it was awesome, like comparing a moped to a Ferrari. Still, most amateur astronomers have, like, 8" telescopes. I have little time these days to do GravitySimulations because I am working towards an actual education. GS is fun, like a video game (difficulty level somewhere between "Joust" and "Robotron", about equal to "Defender") and you can use it to make important discoveries, but those need to be followed up by actual calculus. Real calculus is expensive, especially in terms of time needed to study it. Work with the GravitySimulator has indicated that there is in fact a much larger Solar system object out there, but it's much larger than Mars or even Jupiter, GS indicates at least three Jupiter masses. This comes from examining what our Kuiper Belt looks like and concluding that it has been damaged by a massive object. Examination of the infrared signatures of other stars tends to back this up. GS was able to set an extreme lower limit for this object of 3 Jupiters. Observationally, if such an object were larger than 45 Jupiters, existing surveys would have detected it. The idea of such an object follows the "Nemesis" theory, and this has tended to get a bad reputation as "Niburu" and "Planet X" people have distorted it with pure invention. One can be fooled there, though; I thought that the "Monte Carlo" method of determining a periodicity for mass extinction events on Earth might be an invented mathematics, but after entering school I have discovered that this techique is well-accepted and so Raup, Sepkoski, Muller, and others need to be taken more seriously. In conclusion I do have a serious question as to how far you will allow speculations to go on your blog. I do know that on other forums any discussion of any "Nemesis" immediately brings hoots and hollers and comparisons with ideas that are REALLY speculative; but then there are plenty of pointless political arguments on such forums, also. So, how far can we go? So if there were, say, a Sedna or Eris sized object beyond 200 AU (or less), would your recently completed survey have been able to detect such an object? the problem of a dwarf planet father out is not the brightness, but its slow movement." In that case we would replace movement as a criteria with parallax. Two pictures of the same part of the sky are taken about six months apart, less a little for practicalities such as avoiding the horizon, etc, and are compared. This gives a different angle to each photo so close objects stand out. Parallax is movement, of course, but it's movement of the Earth rather than the objects you are trying to detect. I'm interested to see if there are any remnants of ojects beyond 50 AU. Of course, it would be kind of frustrating to get a null result from this kind of observing program, but that would be a very important result that would tell us a lot. It's been wonderful Mike. I have been following your discoveries since 2005 and have felt very privileged to watch a chapter of astronomical history unfold within each story of your individual discoveries. Will you continue to blog?? You have a wonderful gift for story telling. As an amateur astronomer I really appreciate reading them. It is great to watch people find planets as I too have always dreamed of finding one my self! Thank you so much, your work is inspiring. "Our 2nd survey went approximately +/- 20 degrees from the ecliptic and was sensitive out to 1000 (!) AU (but only to really absurdly large things at that distance. We could have seen Mars to ~200 AU)." Thus I think a further thorough survey seems to be required for better understanding of this very interesting region and I hope that the financial means will be approved for this. Given that Sedna spends just 2% of its orbital time within your detectability limit, the principle of banality dictates that there should be 100%/2%= about 50 Sedna-like objects (sednoids? )(I mean objects with similar elongated orbits, and similar sizes, not pebbles). This still leaves plenty of hopes! Congratulations for all your discoveries. I placed three videos about ancient wisdom of our Solar system, Kuiper belt, Oort cloud,Planet X,...on Yotube. Hey, wait a sec! I was assuming "The End" meant the end of this phase of your career. Did you also mean the end of updating your blog? I hope not! no, no. just taking a bit of a break to do a little science (and committee work). stay tuned for this weekend! The release of the exoplanet images today must have been at least as exciting for you as it was for anyone. Have the possibilities of discovery of planets and so-called dwarf planets in our own system been pretty much exhausted?